Thank you for coming back to learn more about the next step to help you recruit and retain the right board members! Previously we spoke about the first step, Assess. This week we will discuss the next step, Step 2 - Plan. I will ask some questions to guide your thinking. These questions will revolve around your organization’s goals and deciding who the right people are to help your organization reach those goals. Then I will make some suggestions of actions that you can take from your planning efforts. It is important to first ask, what type of planning has your organization engaged in at this point in time? Are you in need of some sort of formal planning? Has your organization participated in any level of strategic planning? The status and needs of your organization will help determine what level of formal planning you should complete. No matter what level of planning you decide to do at this time, it is important to know how your organization will get from your mission to your vision. 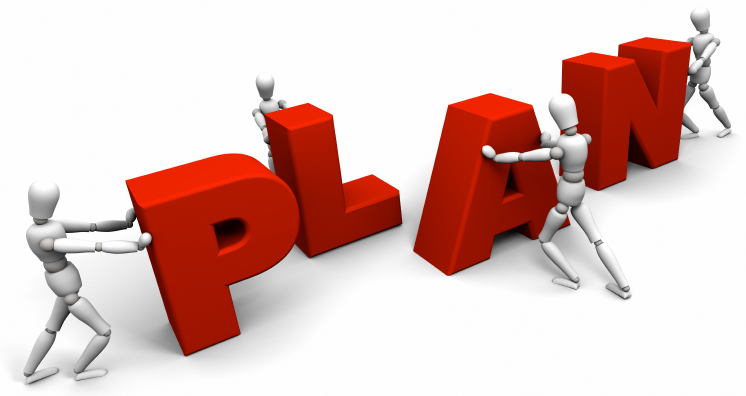 Strategic planning will help your organization do that. When your organization knows where it would like to be and how it will get there (goals and objectives), you can better determine the particular individuals (or the traits, values, skills and strengths of the individuals) that you would like involved to help the organization reach its vision. Once your board and organization have determined the steps (goals and objectives) that will lead toward fulfilling the organization’s vision, the board should think about who will be the best fit to complete the steps. Now it is time to think about the following: Does your organization and board have the people needed to get your organization to fulfill its vision? Do you need someone with a public relations background? What about someone who can connect your organization to a particular corporation that is known to support social causes that are similar to your mission? If you do not have these individuals on your board at this time, what is your recruitment strategy to get them? How will you ensure that the people you potentially recruit are a ‘good fit’ for your organization? It is important to always match up your potential board member’s values and skills with the values of your organization as well as the goals of your board. What type of person do you want? How much time and financial contribution do you want from that person? When you determine who you want to recruit, you will need to determine how to recruit via advertising. How will you advertise for additional board members? Remember that your organization’s status will determine the type of advertising that may be appropriate. Forexample, if you are a veteran board, you may only need to fill one seat on your board. You may know exactly who you would like or you may have a few individuals that you would like to fill the empty seat. Will you draft a recruitment letter to send directly to the individuals that you would like to have on the board? If you are transitioning from your founding board to your working board, will you post the openings on your website? Will you only ask your existing board members to recruit someone new? It is important to consider what type of finances you may need for advertising. To prepare for the individuals that you will recruit, has your board drafted Board Member Job Descriptions? This is critical to ensure that the existing board knows what they expect from new board members as well as ensuring that potential board members know the expectations of them. Job descriptions will provide the guild lines to prevent, or at least help to deal with, issues that may come up down the line.When you have identified a specific board member (or specific board members) that will join your board, have them sign and agree to a Board Commitment Letter. Doing this will ensure that the new board member(s) commit to a certain period of time to serve on the board, will abide by all board by laws, will raise money for your organization, will make their own donation if determined by the board, will represent the organization (in good standing), will attend a certain percentage of meetings (determined by the board), will participate in a certain percentage of events (including fundraisers) and will agree to any other commitments that your board needs. The Board Commitment Letter will also be reviewed in the step of Training your board members. I hope this has been helpful in organizing your thoughts to take steps to plan for your organization’s future. I look forward to speaking with you next time when we will review Step 3 – Train.